At Andaman Snorkel Discovery we have designed our Andaman snorkel tour itinerary very carefully taking into consideration the busiest times at the snorkel sites and also including some of the less well known spots that hold some hidden gems. 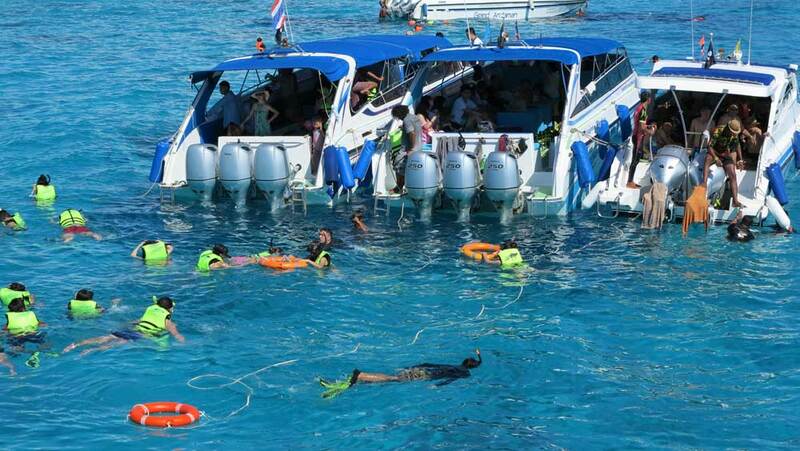 The itinerary is flexible, so if guests are particularly enjoying one of our Koh Bon, Koh Tachai or Surin snorkel tour destinations we can extend our stay or we can move on if we find ourselves inundated by speedboat day trippers. The itinerary will be reversed when the starting point is in Kura Buri. Our Andaman snorkel tour itinerary might slightly alter when travelling in any direction, depending on the tour leader and at the advice of the captain. 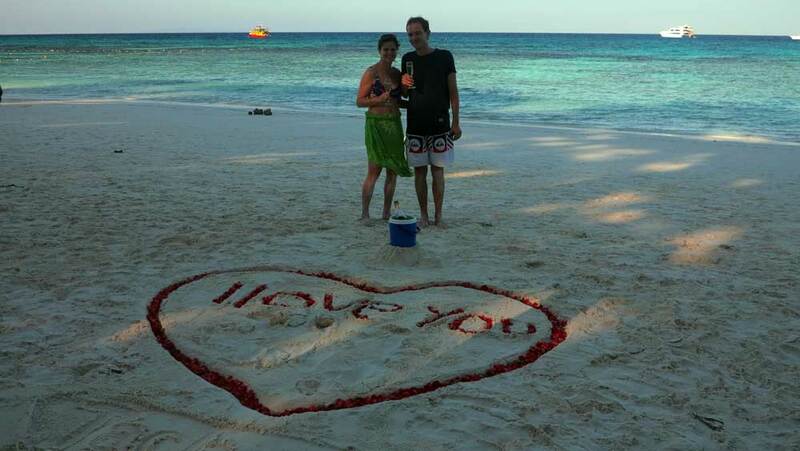 Also remember that Andaman Snorkel Discovery is very flexible, if guests are interested in a particular snorkel spot or have something that they would like to do (wedding proposal, birthday surprise etc.) we will do our best to accommodate. 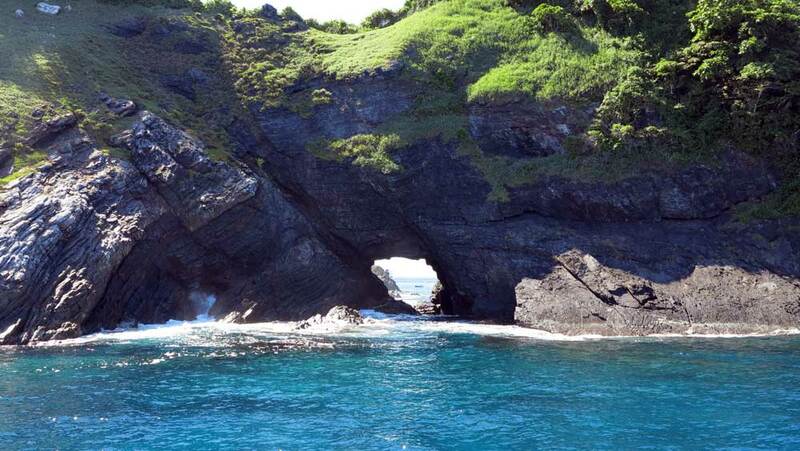 Wake up at the snorkel spots before others arrive! 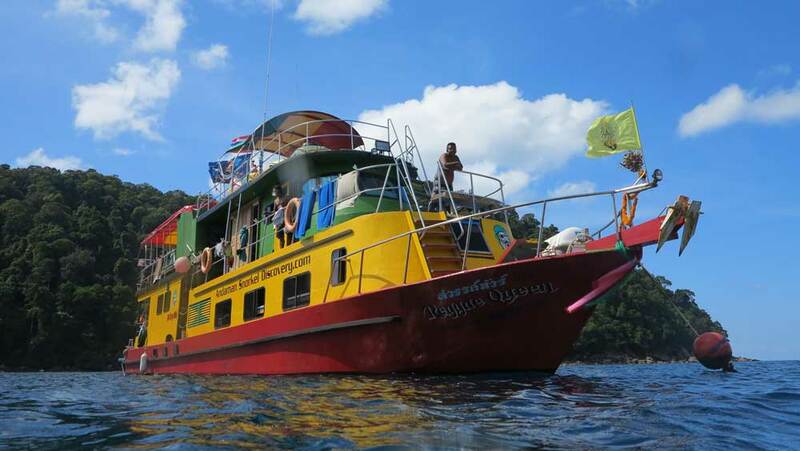 The Reggae Queen sets out to sea on the evening of the first night on this Andaman snorkel tour. You will be collected from your Khao Lak resort between 17.45 – 18.45, depending where you stay. Transfers from Phuket, Krabi, Khao Sok or any other destination can also be arranged if you wish. Once on board we make our way out to Similan National Park where we will moor for the night. 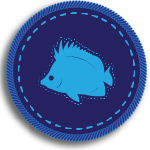 On our journey out, dinner will be served and you will get the chance to meet your fellow snorkeling companions. The boat will arrive at the Koh Bon at around midnight. Make sure you get a good night’s sleep so you are ready for the next day! ! Wake up for a delicious breakfast served on board the boat at 7.30am; this will set you up for your day of snorkeling at the Similan National Park. We start our Andaman Snorkel Tour at Koh Bon, a 65 million year old island formed by sedimented limestone. Koh Bon belongs to the Similan National Park (as does Koh Tachai) and is very popular among divers. The fish diversity is likely to be unique in Thailand. The first snorkel spot we explore at Koh Bon is called ‘Koh Bon Ridge’ or ‘Manta Point’. Snorkeling stops are usually for an hour at a time, we find that this is enough to explore a site and gives us plenty of time to travel between the snorkel sites. Koh Bon is famous for being a hot spot for Mantas, so if it’s the right time of the year you might just get to encounter one! 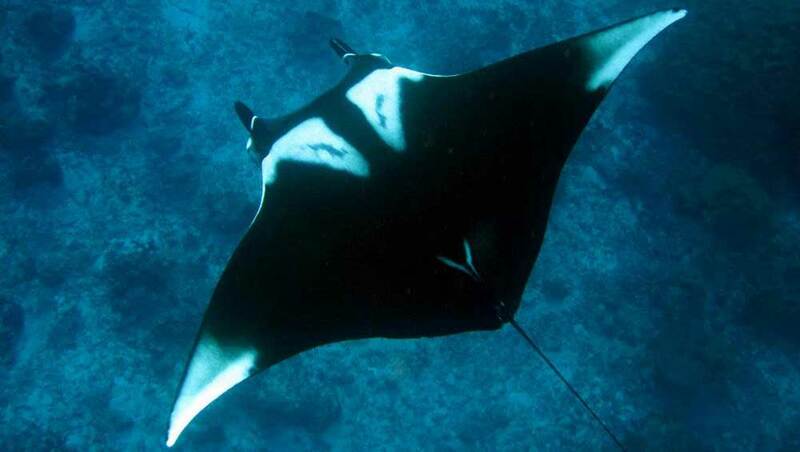 Even without Mantas, Koh Bon has its own unique and special charm and we are proud that we are the only snorkel tour operator which offers Koh Bon as an integral part of the tour program. After a short break we will jump for the second time into the water and snorkel inside the bay at Koh Bon and on the backside of the island. While you are in the water exploring, our crew will do their magic on board and prepare a well needed lunch for when you get back on the boat. It takes around two and a half hours to get here, so we should arrive in the afternoon. This is the optimum time as most dive boats have left the area, heading north, leaving an empty island for us. 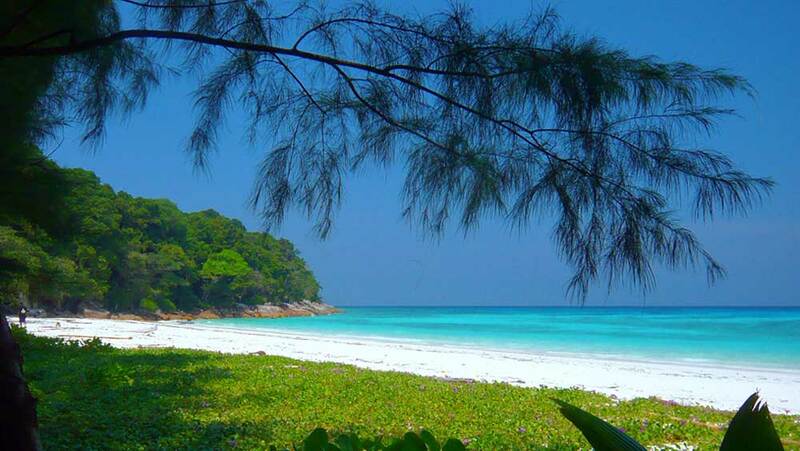 You will be amazed at your first encounter with Koh Tachai, in all its stunning glory. As we arrive in the afternoon it is highly likely we will be the only ones here, making it that much more special. We make the most of this beautiful destination while it is empty, snorkeling at sites abundant in underwater life with high chances of encountering whale sharks and manta rays. We return back to the Reggae Queen well before sunset back, weigh anchor and make our way out to Surin National Park. We will reach the Surin Islands shortly before sunset and find a suitable mooring for the rest of the evening and night. Dinner will then be served. Sleep well because the next day is full of even better snorkeling adventures! In order for our days to run smoothly we have a rough schedule for each day of the trip. The schedule states when we will snorkel, when food will be served plus any other activity we have planned for that day. However, in order for our days to run safely we may have to adjust the schedule depending on environmental conditions including the weather, wind and waves at sea and the tides which affect the currents at our snorkel spots. These factors are often out of our control but we must take them seriously, your safety on board is our number one concern. We make every effort to plan our day around forecast conditions but we can not provide exact information and precise timings when dealing with mother nature. Wake up once again to another hearty breakfast served on board the Reggae Queen at 7.30. 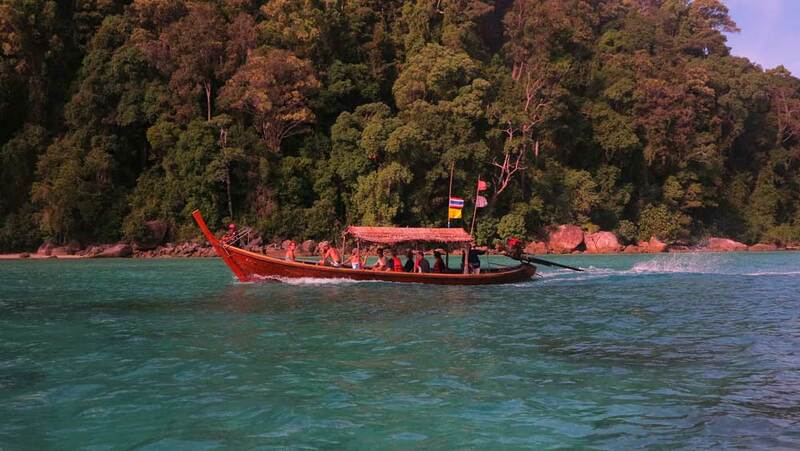 We are now at Surin Islands – the highlight of the Andaman Snorkel Discovery Liveaboard. 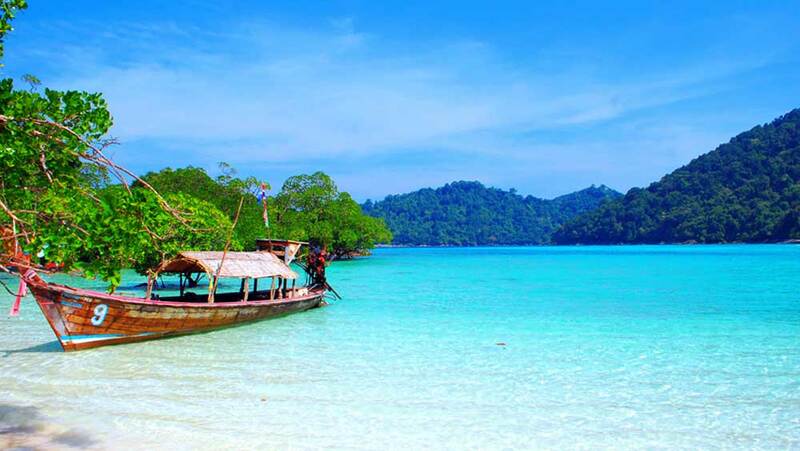 The archipelago of the Surin Islands is a mecca for snorkeling fans and offers a variety of snorkel spots – colourful corals in shallow water, countless fish and pristine beaches. We start at ‘Chong Kad Bay. Here you will find a perfect underwater world with intact hard and soft corals and a variety of marine life that leaves no room for boredom. Here we will snorkel for an hour before heading onto one of the islands and visiting the Moken village (Sea Gypsies). This trip is what makes our Andaman snorkel tour the most outstanding, as we are the only one to visit here and include this cultural aspect into our itinerary. We take a look around the village and see what island life is like for these sea faring folk. Of course we are always respectful and do not intrude on their culture or beliefs – with this in mind please dress appropriately when visiting. Take the chance to purchase some unique souvenirs here, as the Moken make beautiful little trinkets and are grateful for the income. 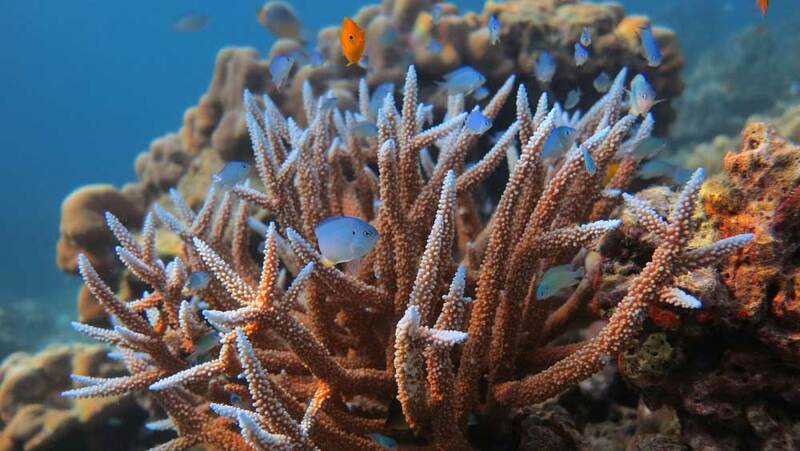 Andaman Snorkel Discovery try to be as socially and environmentally responsible as we can. Afterwards our traditional Moken taxi will take us to ‘Kra Thing Bay’. From here we will follow a short trail across the island to ‘Mai Ngam Bay’ for some relaxing time on the beach and swimming off the shore. 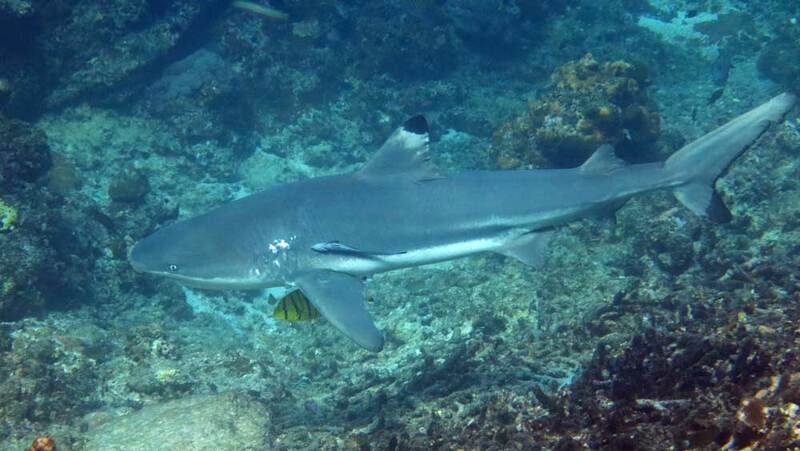 And if it is the right time of the year we might be lucky and can play with baby sharks in the mangroves. After lunch and a short break our next stop is ‘Mae Yai Bay’. Here you can enjoy your adventures in the crystal clear waters and marvel at the beautiful corals and interesting tropical fish. Around 16.30 we arrive at our last snorkeling stop for the day, ‘Turtle Bay’. 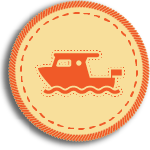 There is also the chance to catch the dingy over to the main island. Next we’ll have another scrumptious dinner on board the Reggae Queen and will moor up for the night ready for the last day on our Andaman snorkel tour. Today we will wake up at 7.30 for an 8.00 breakfast on board the boat; this will set you up for your final day of Andaman snorkel tour adventures. 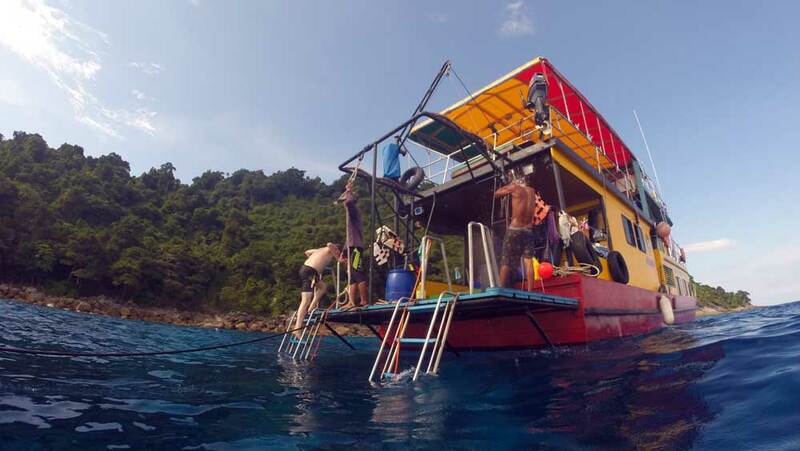 At about 9.00 we will arrive at ‘Phak Kat Bay’ where we will spend an hour snorkeling in the beautiful waters looking for more fascinating sea creatures and corals. Our last dip into the sea will be at 10.30 at a snorkel site called ‘Lobster Bay’. This is possibly the best snorkel spot out in this area of the Andaman Sea, possibly in the world. At 12.00 we will serve lunch on the boat as we cruise back to the mainland. We will arrive in Kura Buri at approximately 16.00 after an unforgettable Andaman snorkeling experience full of stunning beaches, breathtaking vistas and colourful sea life. 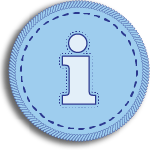 The transfer back to Khao Lak will take about an hour and a half, so you should be back to your resort by 17.30. From 2015, Andaman Snorkel Discovery has been running our snorkel liveaboard to the Surin Islands National Park, including Richelieu Rock and to Koh Bon and Koh Tachai in the Similan Islands National Park. Our aim is to show you the best snorkel spots and the most beautiful islands off the beaten track. Unfortunately, due to the ever increasing number of visitors to the main nine Similan Islands and the continued deterioration of corals and marine life there, it is becoming more and more difficult to stick to our company’s philosophy taking our guests to this area. Sharing beaches and snorkel spots with more than 50 speedboats and tens of thousands of other snorkelers does not fit our “off the beaten track” motto. This type of mass tourism has a huge negative effect on the natural resources of these famous nine islands and is something Andaman Snorkel Discovery does not want to be part of. 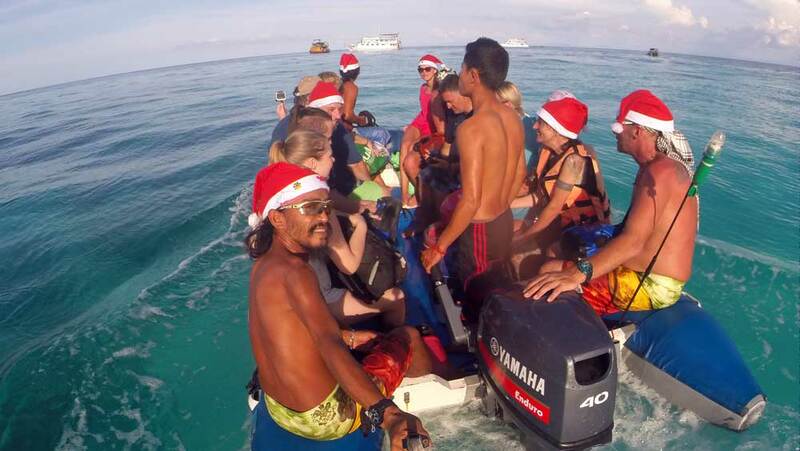 Instead our tours can now concentrate more on the less visited areas of the Similan National Park while continuing to operate our eco-friendly, eco-responsible snorkel trips.